Side A: Detail of Hestia from a painting depicting the feast of the gods on Olympus. 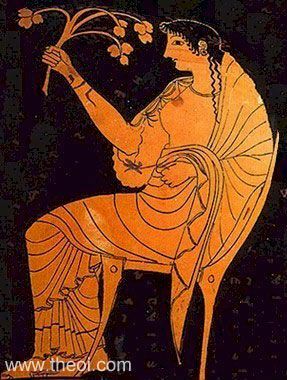 The goddess holds a small flower in one hand a frond in the other (perhas the branch of a chaste-tree). Side B: Dionysus and Maenads (not shown).